Happy Monday, friends! Hope you’re enjoying a nice long weekend with your friends and family, too. I’m so excited to kick off this new series today, as it’s been a LONG time coming! What I Wore Last Week will be a weekly post on Monday with in-the-moment snaps from the previous week. Remember when fashion blogs first started out? Like, back in 2010 and 2011? 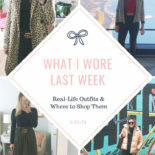 That’s what I did, I shared my real-life, non-professional, daily outfit photos on the blog. Back then, I would quite literally post my outfit from the day before on the blog every day. That’s not realistic anymore with my schedule or how the industry has shifted, but I’ve been wanting to find a way to bring back that raw element and this is it! Some days I work from home and don’t see another soul, and some days are filled with a few outfit changes based on where I’m headed. (And Chicago’s all-over-the-place weather plays a part in that, too.) These photos won’t be the prettiest or the most glamorous. There probably won’t be picturesque backdrops. There won’t be multiple angles of an outfit or a close-up of an accessory. And they’ll just be taken on my iPhone or my little Canon that transfers photos to my iPhone. But they’ll be totally in the moment! Quick snaps of exactly what I was wearing, as I was wearing it. Sound good?! Not to worry, I’ll still be doing my regular-form outfit posts each week, too. Creating captivating content is still one of my favorite parts of my job! 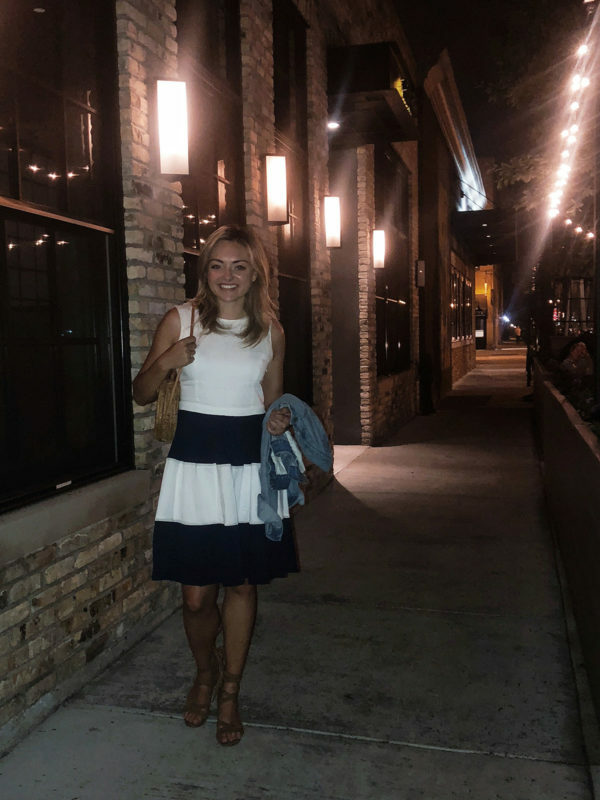 But I’m hoping that these posts on Mondays will help to serve you with some real-life outfit inspiration at the beginning of each week. 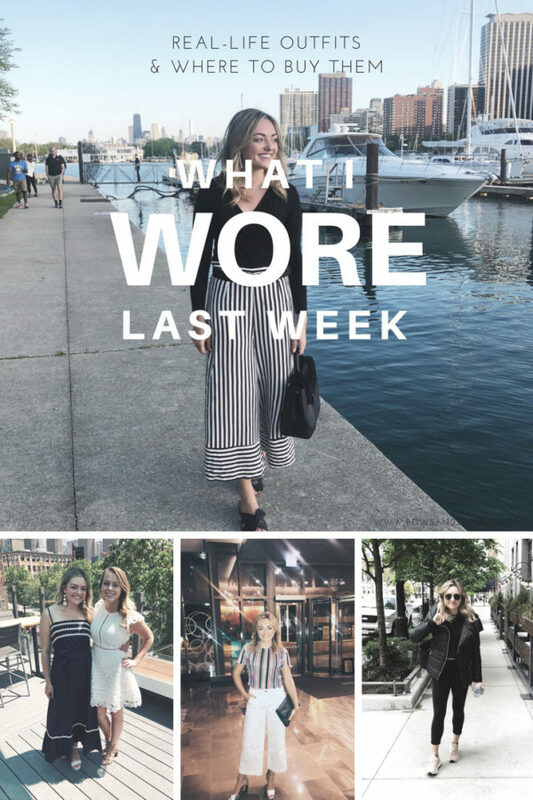 From what I wore to work out, to what I wore to work, to what I wore out on the weekend, most of it will be in this post — What I Wore Last Week. Wow. 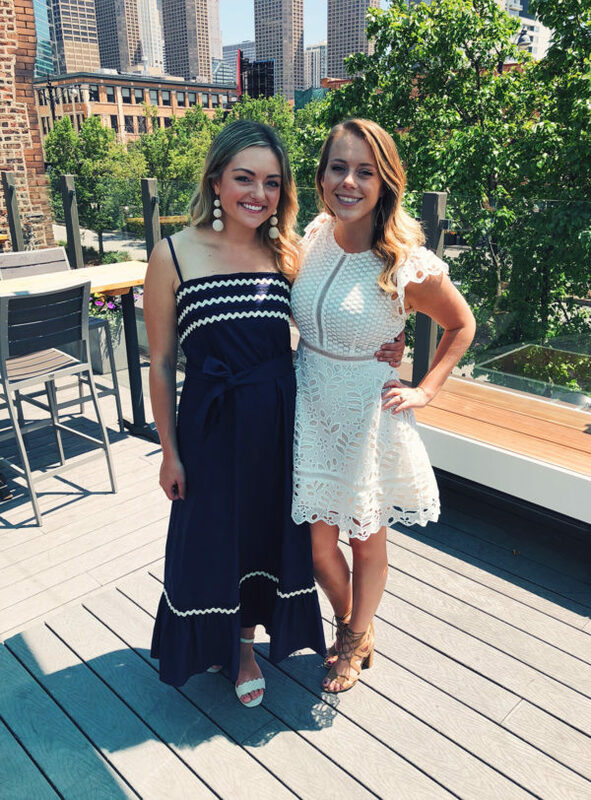 you wore amazing looks! The look with the striped pants is my favourite 🙂 Happy new week! What a great series idea! I’m excited to read it every day – it’s a great way to throw it back like you said. 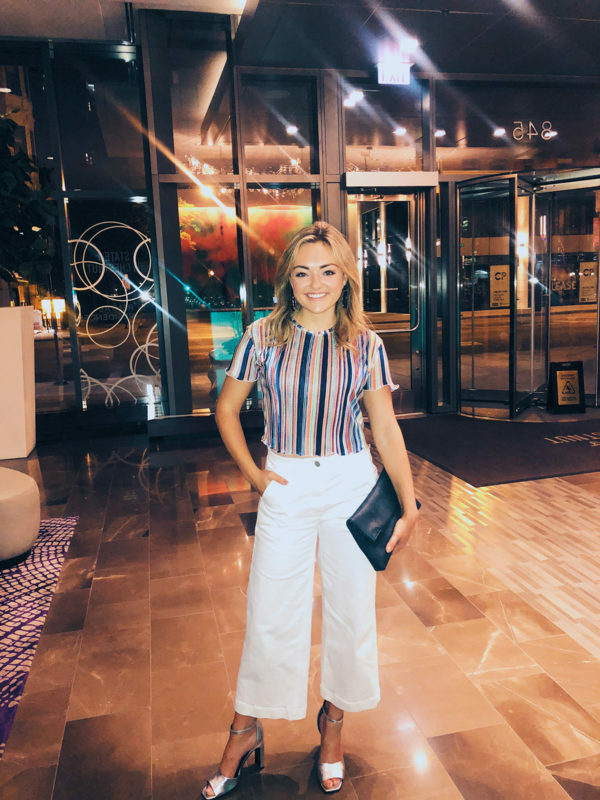 Those wide leg pants are awesome! Everlane has the best pieces, so classic yet fashion forward. I love that you’re going back to your original-style posts! Your blog was one of the first I had ever found in 2011 and I was obsessed! Cheers to a good throwback! I love the looks! Such a great way to bring back the realness! Love this! Such a refreshing addition to all the highly styled posts we see on every blog. I love this! 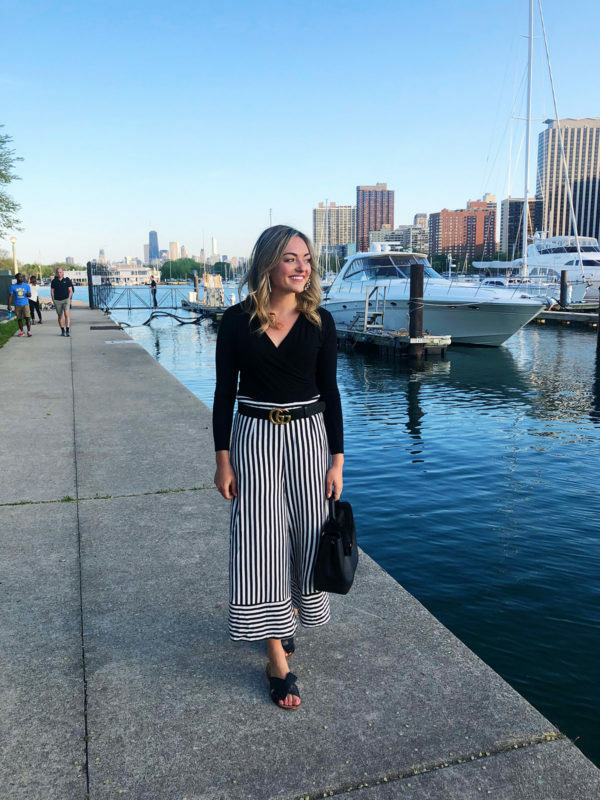 I much prefer these types of posts – it’s a fun peek into what you’re actually wearing vs. a very styled post!